This creates a wonderful opportunity for the mobile developers to build apps tapping into that addiction fed by the millions of viewers. 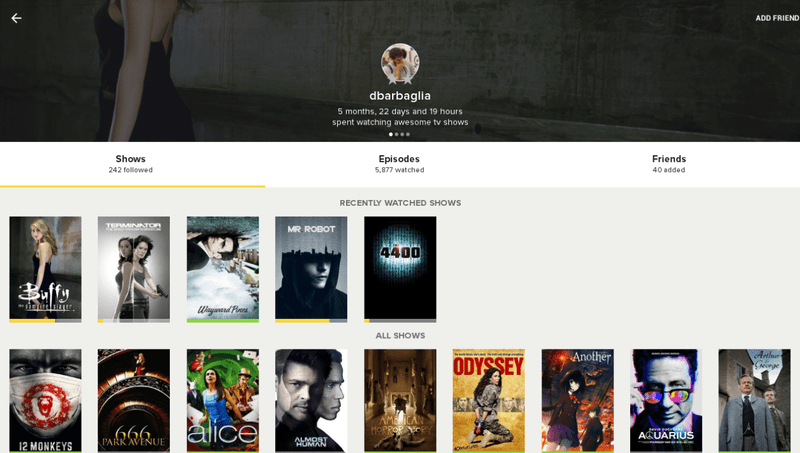 TVShow Time first launched in 2011, and did not come off as something impressive. Its latest update, however, deserves your attention for it brought a massive overhaul not only for the app’s design, but also a slew of new features that have turned tables for the app, making it one of the trendiest TV show guide apps of today. We took it for a test, and here is our detailed review. If you dedicate at least one hour daily to your favorite TV Shows, you are an addict, rest assured. I may spend months TV-free, but when something catches my eye, that inner poise is as good as lost, and before I know it, I’ve a bunch of shows on my list and no time nor intention to check out which station airs what, or when. So, I just skip the show when it airs and binge it when all the episodes are available on Netflix. No more. TVShow Time has you started with a subscription – don’t worry and don’t get pissed off. The app is not just a TV guide and personalized calendar for your favorite shows, but also a vibrant community of users like yourself, crazy about certain shows, or all of them. So, you need to provide and confirm your email address, and that’s basically it. If you want to link to your Twitter and Facebook accounts, the options are conveniently offered, but optional. From there, the app asks you to add five shows as a basic intro to your account. You will mark where in each show you currently are – up-to-date, or a few episodes/seasons late. 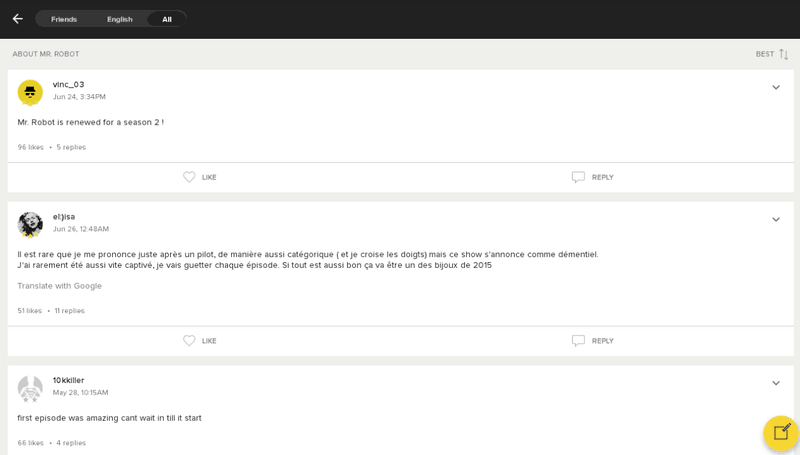 Based on where you currently are in the show, you will be able to rate an episode and comment on it, as well as reply and like other users’ comments. 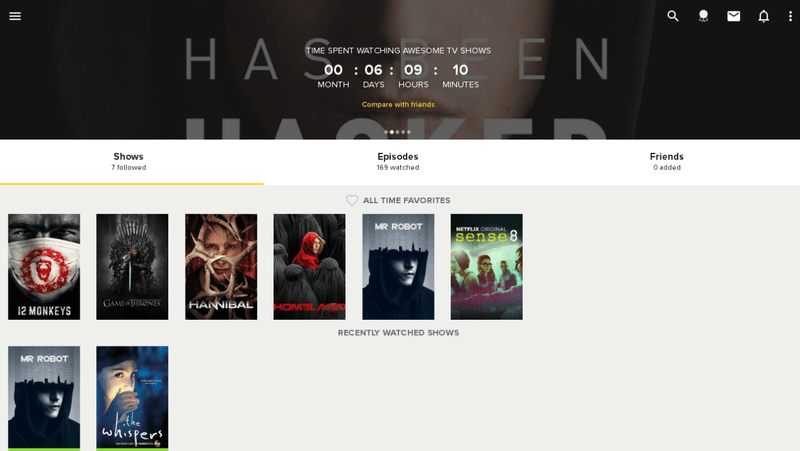 Here comes one of the hidden gems on TVShow Time – by restricting your access to the aired episodes you haven’t watched, yet, it sort of “protects” you from spoilers. You can, of course, mark them as watched and access the comments and memes, but that would be your conscious choice. Did I just mention memes? Yes, the latest update brings an awesome new feature, which makes the social aspect of the app to the spotlight – you can now create and post memes for your favorite episodes. Here is how because despite the overall simplicity of the app this particular feature does not seem to be too evident. Go to the latest episode of the show you would like to comment on or make a meme. There you can see an option to rate the episode and choose which character, or rather actor, performed the best. 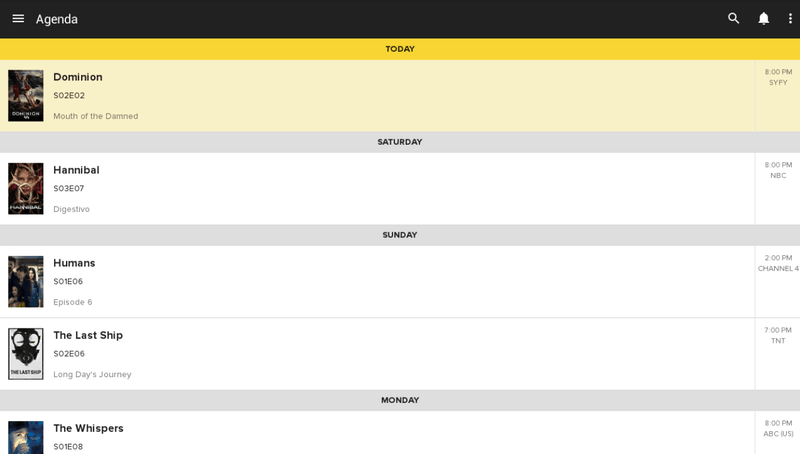 The yellow speech bubble takes you to the comments page – tap that. Once you are in the Comments section, you can see a yellow page icon at the bottom right corner of the window – tap that to go to the meme creation window. 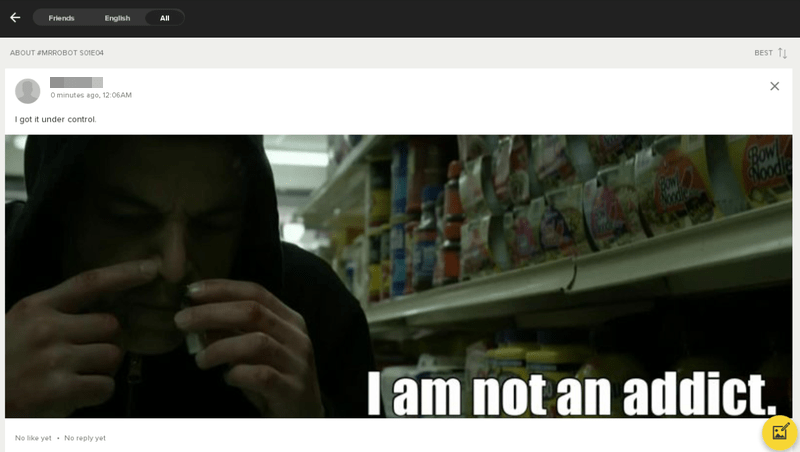 There, you can see two sub-tabs – one for the screencaps and another for the funny images. 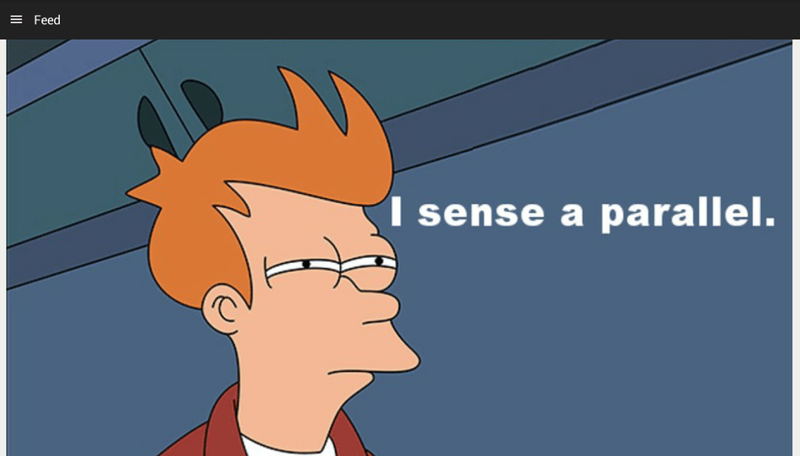 Browse through the screen caps and choose the one (-s) you like – you can choose up to six images for one meme. Tap Next to get to the screen, where you can re-arrange the order of the screens and add the text to your meme. You can also change the location of the text on the image, the font and size. 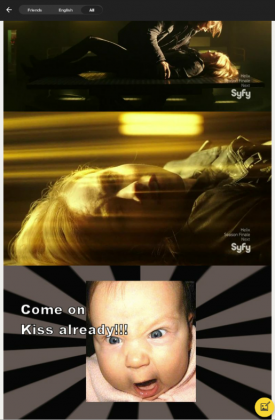 You can also check out the Funny tab, where the stuff like baby faces, granny faces, Jacky Chan faces and koala faces are. You can also add your own commentary; then tap “Post” and get ready to get likes and replies. 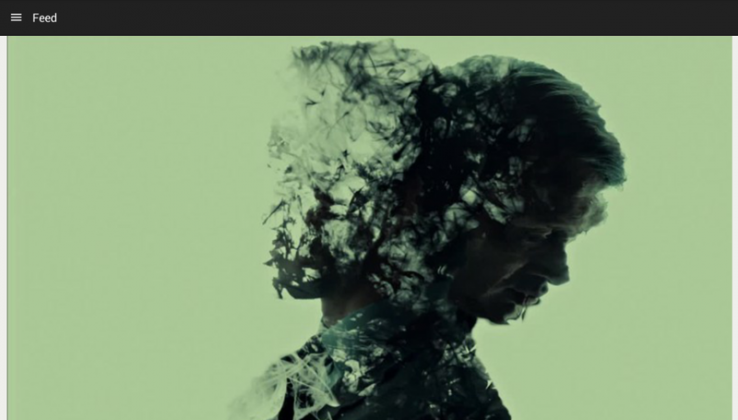 Now, as far as the screen caps are concerned, there can be many, or few, probably depending on the episode or the show’s popularity. The developers say they’re in the talks with Warner in France about the legalities, and there is no infringement issue pending. Another great advancement in the new update is the expansion of the social features. You can befriend users and read their timelines because by default, your profile is private, unless you make it public manually. You can also send direct messages to your friends and discuss the episodes privately, or ask for advice on which show to watch next when you’re done with your favorite ones. Following the people who are passionate about your favorite shows helps you discover more shows that are in the same range of interests. The community is bi-lingual in the least because the app originates from France, but if you would like to limit your experience to the English-only comments, you can tap English at the top left corner of the comments section. However, I saw the prevalence of the English comments for my shows, so it’s safe to assume the community is international. Profile section got a major overhaul and we totally love it. You can now have a photo of yourself, a feature image of your favorite show as your cover image, and choose your favorite character as you – as in “if I were a movie character, I’d be…” A short intro is optional, so is the date of birth, Twitter and Facebook account or location. Your Profile also features how many hours, if not days or months you have spent watching your favorite shows. It’s a dubious reason to be proud, but since we’re in it for the shows, the more the better. As I said, if you are not in a hurry, you can walk the slow lane of following the users whose comments you like in the feed of your favorite shows, and see what they are watching. 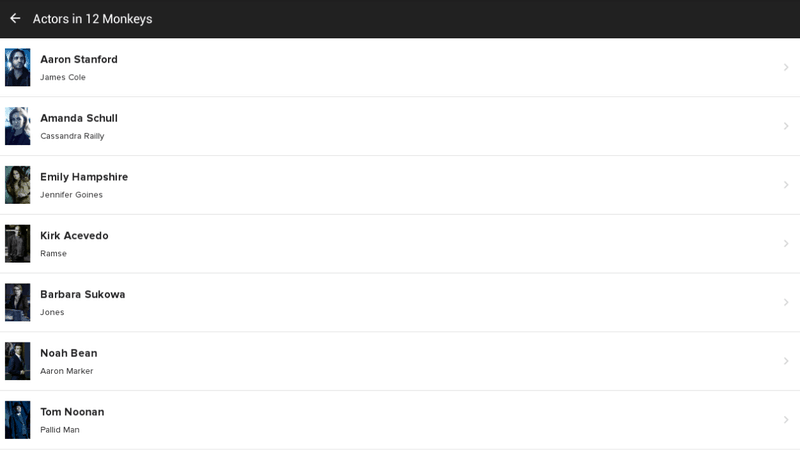 There is a more straightforward search bar, and a selection of genres you can choose, or all of them. By default, the app displays the currently trending ones, so if you sign up this week, you will most likely see the Teen Wolf on the front page. Overall, all the shows I was fond of were readily available and sported quite a vibrant community of people sharing their impressions, so I felt included immediately. Besides, you can discover all the show details you wanted from within the app – it’s conveniently integrated with imbd and Wikipedia, so when you tap on an actor, the app takes you to their bio page – very neat. This section shows you which episodes are due on air soon, with the dates, times and stations airing them – another convenience I appreciate because I never know the stations. 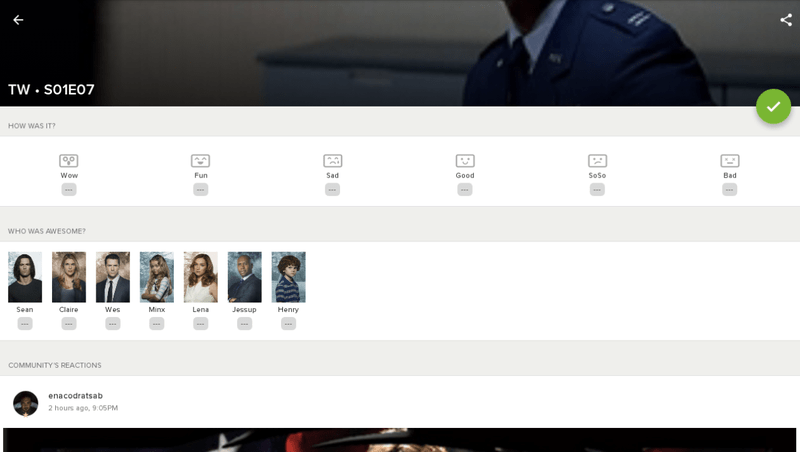 To Watch section features the episodes that were already aired, but marked as un-watched by the user, so it reminds you which ones are waiting for you to make time for them. Activities is where you get yourself updated on what your friends are doing; Feed is for the updates on your posts and the posts to the recent episodes. International viewers would want to visit the Settings tab because that’s where you can switch Air Dates from the default “First Worldwide Airing” to French TV or UK TV option. You can also choose to toggle on or off the option to convert the air time to your local time, filter the networks and choose the ones available to you, as well as choose to hide the watched episodes to avoid the unnecessary clutter. 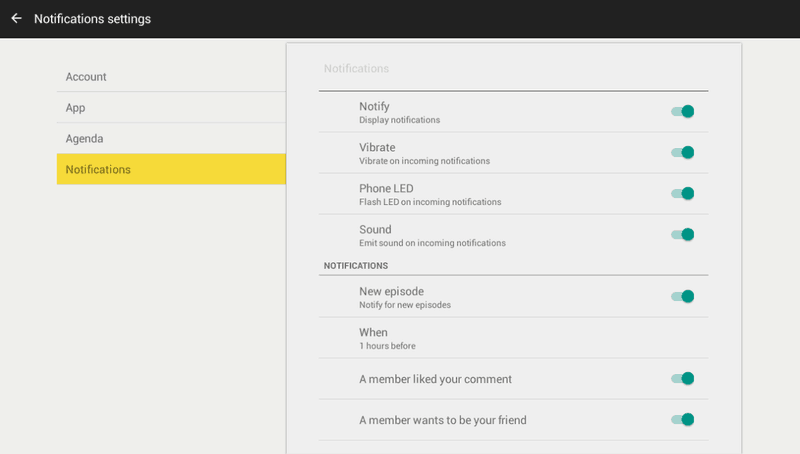 The Notifications tab lets you customize how and when you receive the notifications about the new episodes and your community activity. 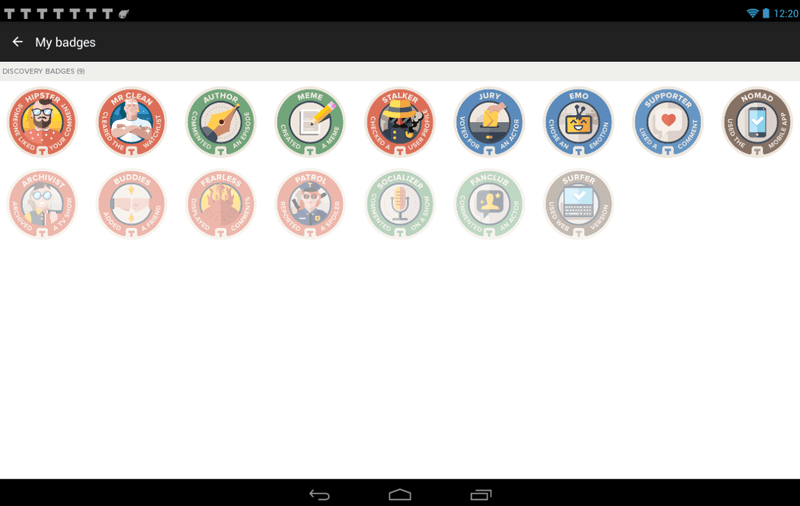 Among other perks you will see plenty of badges for being an active member of the community and exploring the options. Finally, Help and Feedback tab offers a few helpful tips and tricks. 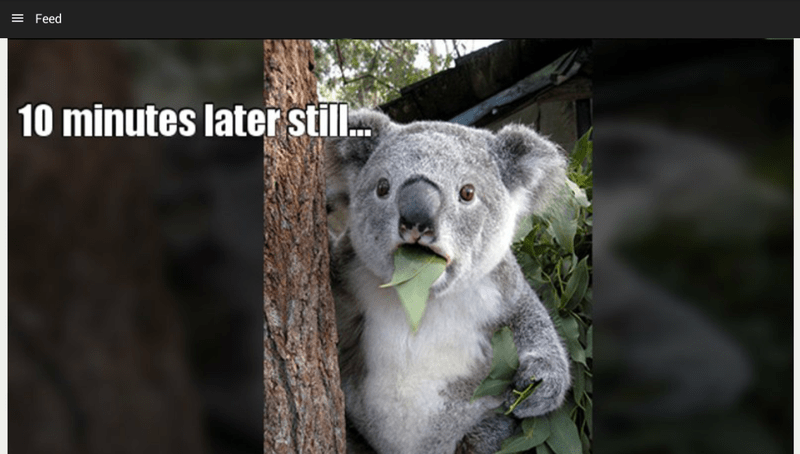 Getting around is quite easy for a newbie, but a few things like finding where and how you can change your featured image on your Profile or how to make a meme for the first time can be confusing. While we covered the memes already, the featured image deserves a say, too. Go to your Profile window and look closer at your nickname and the profile picture – see that teeny-tiny yellow pencil that appears next to it? Tap it and edit your Profile image, featured show that appears on your cover, your favorite character and some other basic info. Despite these two issues, the UI is intuitive and thought-through. The first few days I haven’t experienced any issues, but today it’s lagging for no apparent reason. Hopefully, it’s a random issue of unidentified nature that will never happen again. With all the things going on on the app’s screen, TVShow Time does a good job of keeping the looks clean and uncluttered. 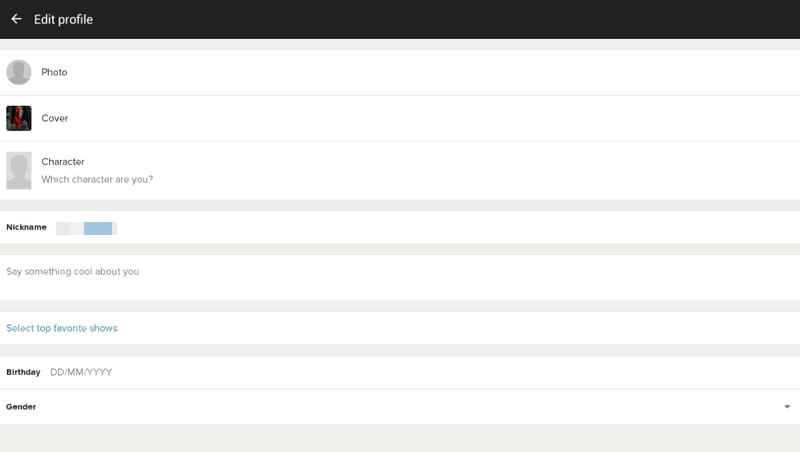 It would be nice to have a few color themes to select from, but the overall looks are neat and sophisticated. A few more Material design tweaks would appeal to the Android users, but to maintain the unified user experience the app is fine the way it is now. Fun art and a user-created meme for the 12 Monkeys S.1 final episode. 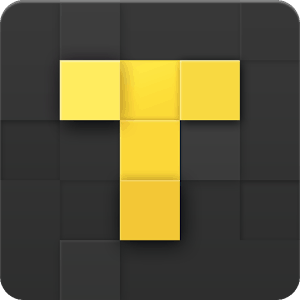 TVShow Time got a major overhaul and a pack of new features and we found it to be a great tool to not only track your favorite shows, their airing times and stations, but also a vibrant and interesting community of the movie nerds, making memes, having that small talk the way the like without the introductions or other socializing pre-requisites of a live conversation. On the flip side, having your family or friends gather for a movie night, eat a load of pizzas and top them with good wine or beer is much better. However, nobody seems to be on the same page in their favorite shows these days. I like to binge, my friends like to watch them when they air, so we don’t talk about that to avoid the spoilers. TVShow Time offers an international community of TV show aficionados, and believe me, you will feel a significant relief when you know you’re not alone in your obsession. TVShow Time is a must-have app for any TV show nerd.